The writing was pretty much on the wall from the moment Lin-Manuel Miranda tweeted his anguish at the unexpected cancellation of Brooklyn Nine-Nine back in May. When NBC saved the comedy, fans wondered when we could expect to see one of its most vocal celebrity champions on our humble screens. The answer, EW recently learned, is March 7. 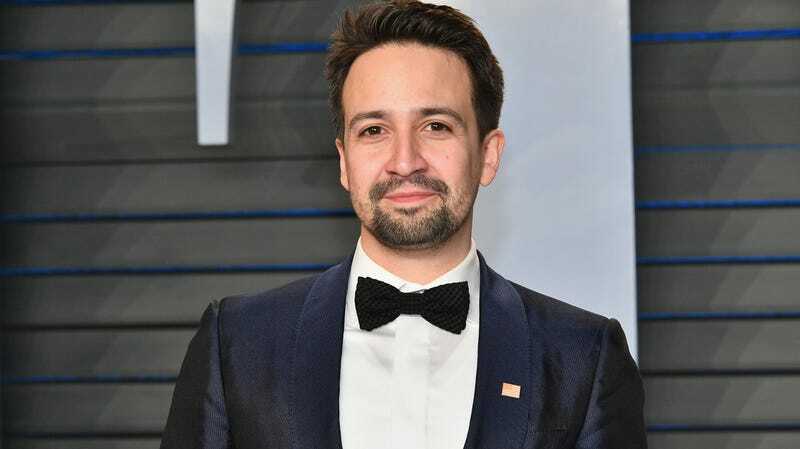 The Mary Poppins Returns star and Hamilton architect will be stopping by the 9-9 in an episode titled “The Golden Child,” where he will play David Santiago, Amy’s brother and rival. There are no available plot points yet, but we’re perfectly fine with waiting to see just how their offscreen friendship will fuel their onscreen petty fest. Amid news of the show’s cancellation, Miranda was one of a core group of celebrities who took to Twitter to passionately voice their support of the series alongside Mark Hamill, Guillermo del Toro, and the Backstreet Boys. He was also there to celebrate with the cast when they found a new home. When EW asked if anyone from the star-studded pool of superfans would ever make it on the show, co-creator Dan Goor answered hopefully, “We’re huge fans of all of those actors. And we’d love to try to figure out ways to put them on our world.” Again, writing, meet wall. Brooklyn Nine-Nine airs Thursday nights, 9 p.m. EST.